Sheriff Woody helps keep your cuffs together! 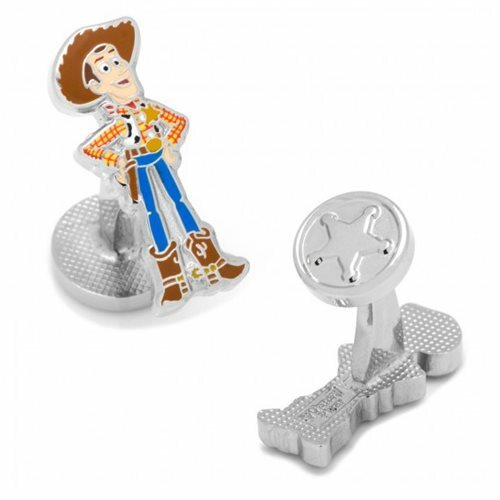 These Toy Story Woody Cufflinks feature Andy's favorite cowboy toy as a handy dandy set of cufflinks for when you have to dress fancy. Now you can rep Disney Pixar's Toy Story while at a stuffy formal event!